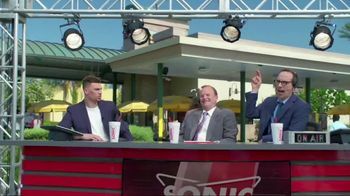 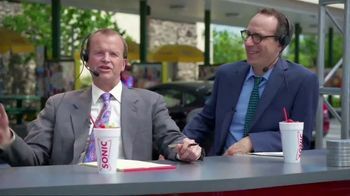 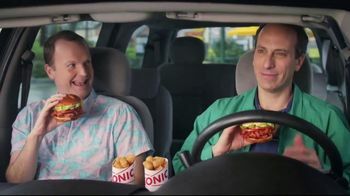 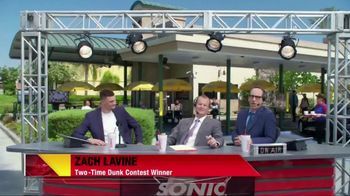 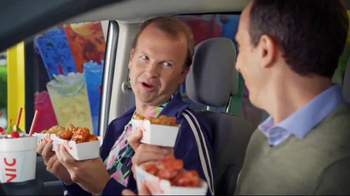 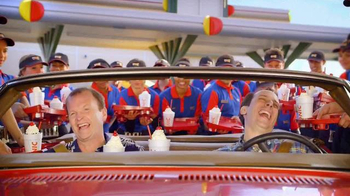 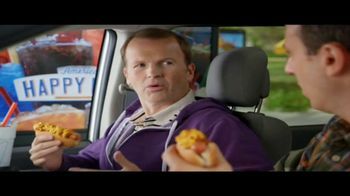 On their sports talk show, Sonic spokesmen T.J. and Peter welcome their guest, two-time Dunk Contest winner Zach Lavine. 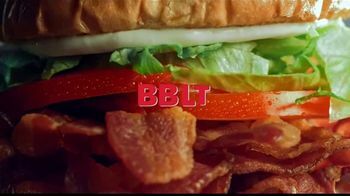 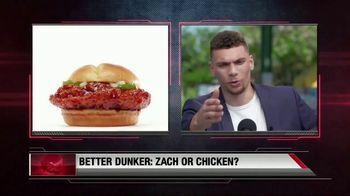 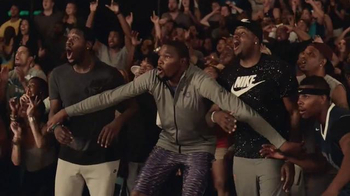 They begin to roll a compilation of Lavine’s top 10 dunks, but it turns out the only dunking going on in the video is the dunking of Sonic’s Ultimate Chicken Sandwich into bourbon BBQ, buffalo and garlic parmesan sauces. 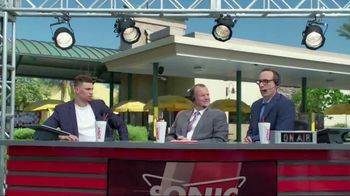 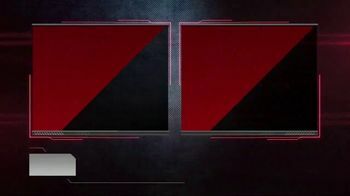 “This is OUR house,” the host duo proclaims. 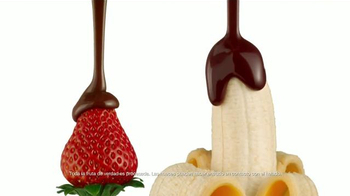 This, of course, is hyperbole for Peter, who has a wife and children. 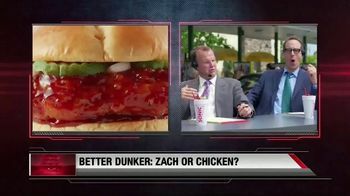 T.J., on the other hand, lives at the restaurant with the sandwiches. 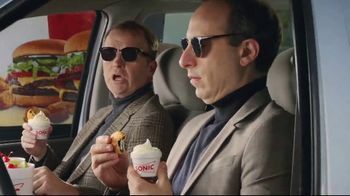 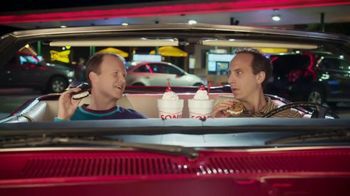 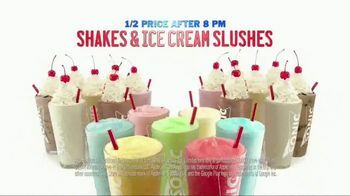 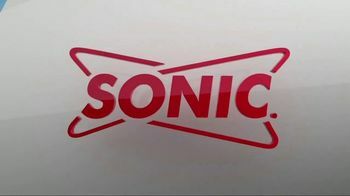 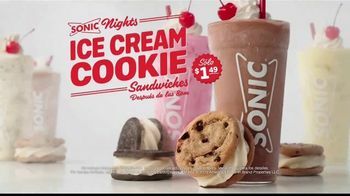 For a limited time Sonic customers can get half-price shakes and Ice Cream Slushes after 8 p.m.